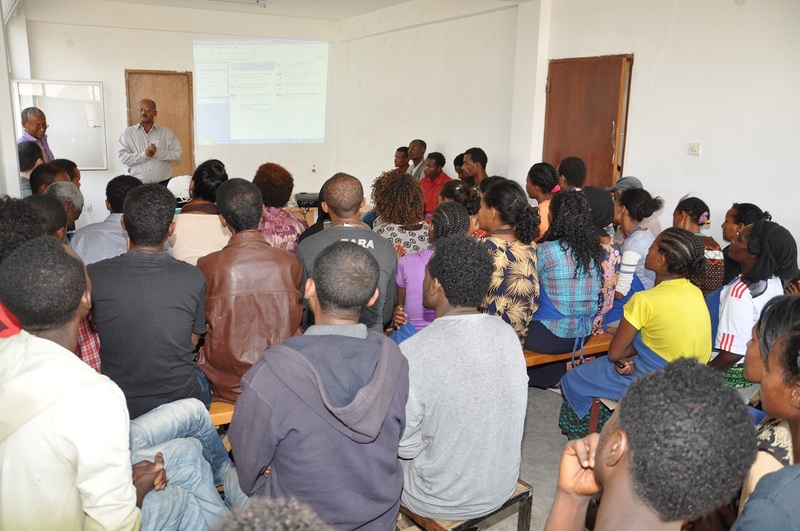 We’ve been excited about this for months now, since our team’s first meetings in Ethiopia back in March. And we’re proud to finally be able to share that as of September 20, 2013, all the hard work our team put into the factory, only open for little over a year, means it is now the world’s very first Fair Trade Certified shoe manufacturing factory. 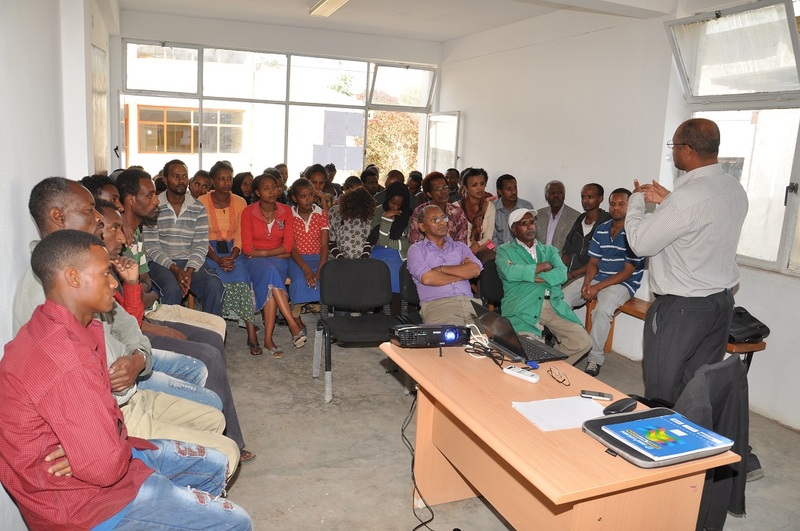 An Ethiopian Fair Trade Consulant, Chala, explains what Fair Trade Certified means for Oliberté as a company and its workers in March, 2013. Photo by Kinfe Sahlu Gulte. This means that at the facility, we are meeting or exceeding rigorous standards for empowerment, economic development, social responsibility, and environmental stewardship. All of this in Addis Ababa, Ethiopia, where we are proud to be offering equal opportunity and stable jobs to people who deserve it. It all goes back to the beginning. Since day one, we have striven to give our team the utmost respect. We have aspired to respect the environment and local community. We believe that every business is only as good as it treats each and every employee, no matter where in the world they are. In 2009, this meant partnering with factories we thoroughly vetted. But we soon outgrew this potential, and in 2012, we founded our own footwear manufacturing factory — and it is here that we aim to set the precedent in fair manufacturing in sub-Saharan Africa. But just this vow wasn’t enough for us, so as of September 20, 2013 we are proud to be the first ever footwear manufacturing factory to be Fair Trade Certified by Fair Trade USA, and as result produce the world’s first Fair Trade Certified footwear! Read our full explanation of policies, what this means now and in the future, and why we chose Fair Trade USA for our certification here. Share the exciting news with the links below.